Enforce the least-privilege principle, eliminate security holes, deter privilege abuse and minimize your attack surface by regularly reviewing accounts, groups and permissions in your environment. 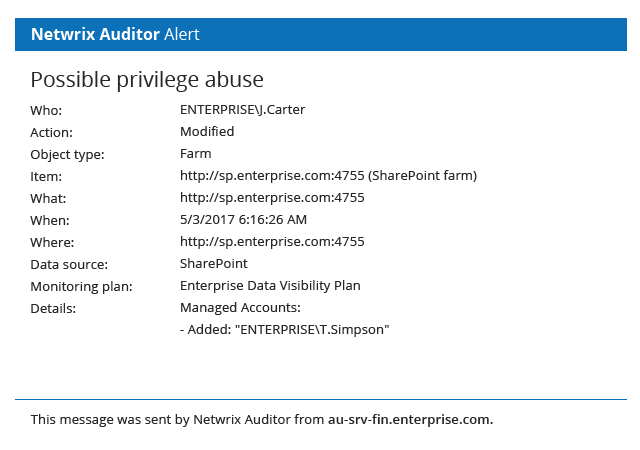 Reduce data security risks by ensuring the accountability of privileged users in your environment. 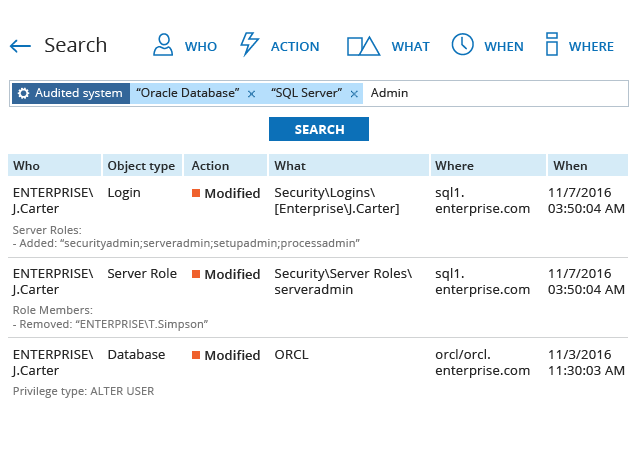 Set up alerts to promptly detect actions that might lead to system downtime or jeopardize the safety of your source code and other sensitive data. 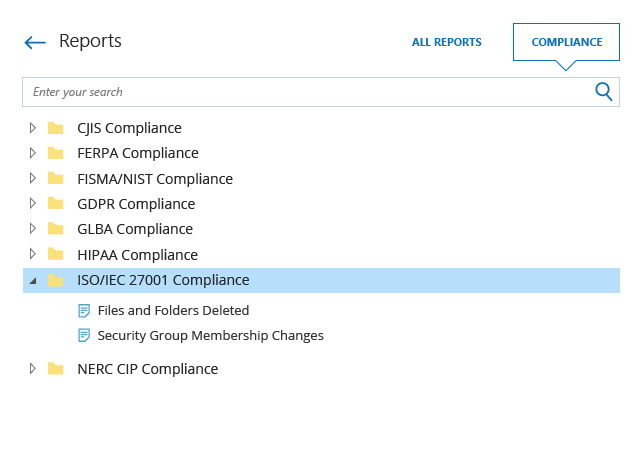 Easily search through security intelligence and reconstruct events – step by step and with all relevant context – to determine exactly what happened and how you can prevent similar incidents in the future. 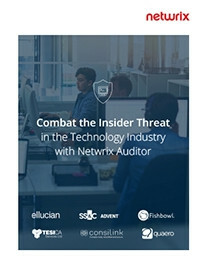 Get more business by successfully demonstrating the effectiveness of your security policies and your ability to safeguard sensitive data during compliance audits, both for general standards like ISO/IEC 27001 and for industry-specific regulations like HIPAA. their own reputation on the line, but also their entire business. threats and data breach risks at bay. The current cyber-threat landscape and the nature of our business drives us to be more security-focused. Tesica Services prevents data leaks and slashes time for compliance preparation. Consilink saves $200,000 yearly on HIPAA audit preparation. Xcentric levels up its managed services offering by becoming SOC 2 compliant. Cellular One mitigates risks by establishing centralized control over 13 remote locations. to learn how our product can help you.